New York, NY (July 14, 2017) – Carlos Marin, Managing Director of United Cinemas International, will receive this year’s “International Exhibitor of the Year Award” at ShowEast. Marin will be presented with this special honor as a part of the International Awards Luncheon on Tuesday, October 24 at the Loews Miami Beach. Running four of the seven highest sites in attendance in Brazil, UCI is always searching for the best technologies and for more innovation. 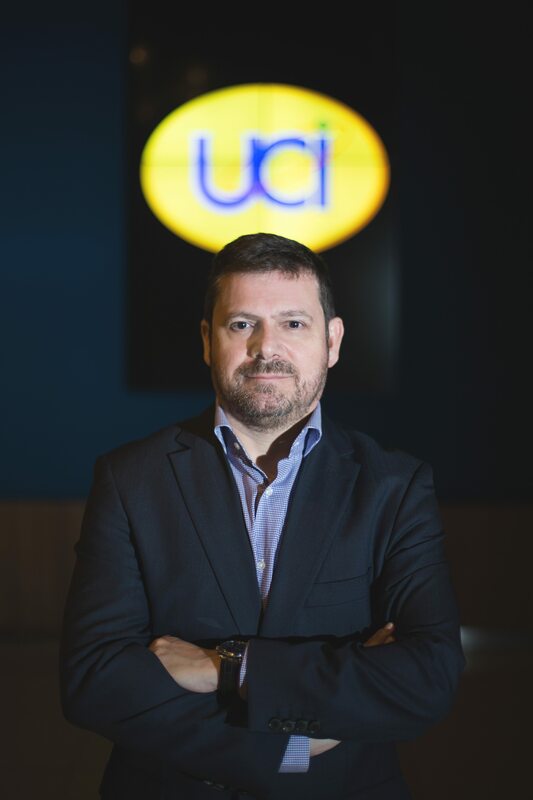 In 2001, UCI was responsible for the first digital screens in Brazil and in 2010, UCI partnered with Sony, to bring 4K technology in Brazil exclusively to UCI Cinemas. In 2011, UCI Brazil presented the first IMAX® screen in Rio de Janeiro and incorporated a new concept to the company, the VIP Deluxe theaters, with special guest services, private lounges, luxury seats and a special menu. Currently UCI is the largest IMAX operator in Brazil and under Marin’s leadership, UCI opened their first 4DX theater last June.